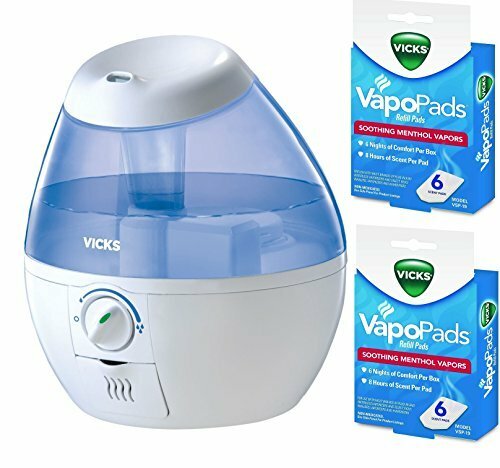 The Vicks Mini Filter Free Cool Mist Humidifier provides soothing, visible mist for temporary relief of cough and congestion for better breathing and a more comfortable sleep. Designed for low maintenance operation, this unit requires no filters and is ultra quiet. This bundle comes with an extra Two Packages of (6) Soothing pads (12 total pads).